One of my best friends here in Florence gave me a lovely present the other day. It was supposed to be a Xmas present, but my friend was so excited and eager to see my reaction that she couldn’t wait until December. 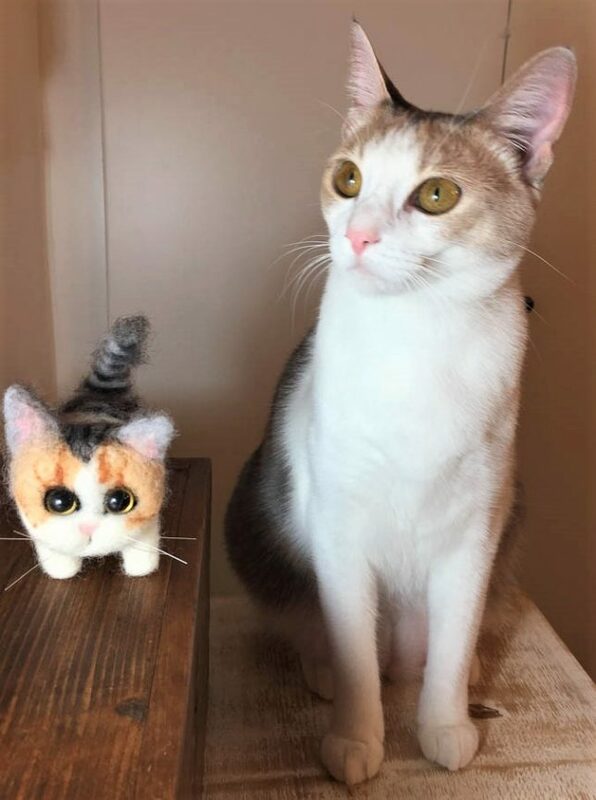 She had ordered two small, woolen versions of Pixie and Pandora (my 14-month-old sisters) from an Italian woman who specializes in the needle felting technique, which I believe originated in Japan and is quite ancient. My friend didn’t have any up-to-date photos of the two sisters, so, while we were away in Matera, she asked our cat sitter to be her accomplice…Photos were taken and sent off to the artist. And here’s the result. A few days ago, when I pulled the two small kitties from the box, I recognized Pixie and Pandora immediately (even though the orange is a bit too bright) and got a bit teary…Such a sweet present!!! Quite realistic, I’d say…but not TOO realistic, which I would have found way too freaky! 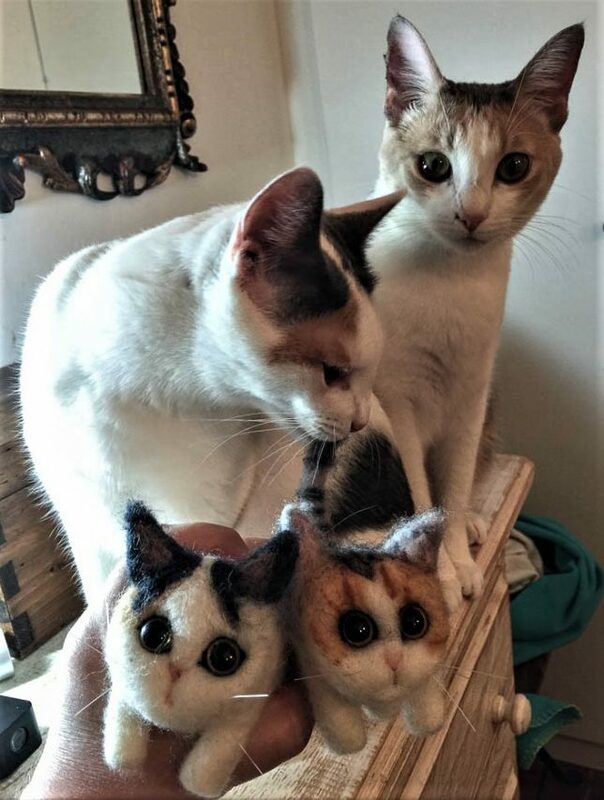 Of course, Stefano and I now want mini versions of ALL of our cats, so I’ve contacted this young woman and have placed an order…Top of my list: two mini versions of our beloved Piccolo and Puzzola, as hard as it’s going to be to open THAT particular box…eh.